Butch Abad found himself in a fix similar to one borne by mouthpieces of the corrupt regimes of Ferdinand Marcos, Erap Estrada and GMA. From the intense questioning of Risa Hontiveros, Abad was trying to embroider convoluted brief for the much despised and newly discovered executive fund: the Disbursement Acceleration Program. The Budget Secretary said that the invention of the DAP fund was to address the sluggish pace of development in the country. Government funds must be channeled to where they matter most to spur the economy. He argues that the senators and congressmen are constantly on the move (within their districts, in case of the congressmen) gaining enviable economic information denied to a cabinet secretary or local government official. His President thought it best to delegate the spending to the legislators. He never explained why the need to corral the funds from Day 1 when they took over Malacanang in July, 2010. Some public spending genius hatched the unprecedented gratification suspension to fund the Corona impeachment and other similar projects. They know that they were stymied by the booby traps of GMA and the forced savings have to be engineered or suffer being ignored by the buccaneers of Congress. That is the irony of good governance. Its prime movers become victims of the evils they wanted exorcised. The cabinet secretaries, in one August meeting shortly after the inauguration, could hear the heavy breathing of their patron fulminating on the midnight appointments of his predecessor. How could they move about their own brand of management if the heads of agencies waved their tickets to pre-booked flights like a term of office? The Offices of the Civil Service Commissioner and the Ombudsman and the Chief Justice, among other agencies, enjoy tenure protected by the Constitution. Weeding them out require the process etched in the same basic law. By putting this procedure in motion requires billions of pesos in logistics as they have seen under Erap and Gloria. Under Erap and GMA, both mightily resisted their ouster by tapping motherloads from the GAA. Erap blew it, Gloria was triumphant. In terms of impeachment jurisprudence, we have surpassed the US from where we modeled our unique presidential system. An impeachment case requires extraordinary majority: two thirds, to be exact. Short of this number, the cumbersome and of course riveting process is doomed. Point men have to be tapped accessing the nobler and basic instincts of each legislator. A budget has to be laid out. Its source has to be identified. As we said the Budget or the Finance genius is not to be denied. Savings from Year 1 have to be embanked in a special journal entry. At first it was just an X account, unchristened. Naming it will just come later. As nobody, anyway, will never know. Its disbursement can be lumped under the broad Executive Power sanctioned by the Constitution. Until one Ben Hur Luy went to town. With billions of funds under the tip of one’s finger, it can deaden his perspective. This is what happened to Frank, Butch, and the President. Together, they make up the acronym DAP. This fund goes down in history along with Macabebe troops, Martial Law, Avsecom, and Batasang Pambansa: all ignominious tags in our parsed history. With the May, 2013 elections looming in the horizon, the President’s men have to engage in fund raising. Local candidates will come knocking at the Palace door begging for wherewithal to ensure the midterm referendum. Midterm elections are the barometer of how the President is assessed by the people in his first three years at the helm. Elections are not cheap. There are traditional collections: contributions from the tax evaders and of course friends and kins. Any excess from this kitty is theirs for the taking. Right after elections, some candidates become instant millionaires and can mount expensive protests from the unspent money. For the last seventy years, jueteng or loterya is the old favorite. Smart boys from the PCSO came up with the Loterya ng Bayan in the late 2010. By February, 2011 they came up with the new rules of the Loterya, scrapping the Small Town Lottery. The STL, the President knows, is run by his predecessors’ financiers: the Pinedas, Simans, Prezas, Boonggalings and a host of others. Any money sourced from this undertaking is treated as literal sinking funds. They are meant to fuel any electoral campaign. Pagcor and PCSO have joint yet independent sinking funds and only accessible by the President. That is the reason why the top honchos of these money outfits enjoy the confidence of the President. No conmen are allowed within their premises. Pagcor now is a losing proposition. It is bleeding from within just to prop it up by subsidizing skyrocketing overhead costs. Mike Arroyo and Efraim Genuino farmed out mini franchises to Resorts World and Solaire drying the stinking Pagcor casinos of their clientele and high rollers. Its casinos in Tagaytay, the corners of Malate, and the rest of them all over the country are virtual memorial parks. PCSO has made financial projections that the Loterya can make P10B a year net. In one unguarded moment one Nilo Bantugon of Bauan, a Loterya applicant, gushed that if he only has access to the President he would present a business plan of running the Loterya by himself and pay the government P10B upfront annually. Bantugon validated PCSO’s figures. In other words, the agency tasked in running it and a private individual who knows the business inside out have a common figure of its annual earning. This was in the early part of 2011 when about 200 applicants queued at PICC to submit compliance and individually sinking P10M as paid up capital, new offices as specified by PCSO, and P50,000.00 filing fees. PCSO has a timetable that by June, 2011 it could have awarded the franchises to the new Loterya operators by congressional districts to facilitate monitoring. Surprisingly, to date, no franchise has yet been awarded. One lawyer from the Office of the President said that the Loterya is dead in the water. The government lost P30B in future revenues. This P30B could have been the phantom DAP available at the bidding of the President. COA looks the other way when this revenue is analyzed. COA knows that this fund is for the President alone to parlay for his social projects and calamity assists. Instead of the DAP, the disbursement of this charity fund can be delegated to the legislators since they are pestered on days on end by their impoverished constituents. If the local officials can have their legal share of the STL (reminiscent of the jueteng intellegencia), the congressmen and the senators cannot of course be denied from the benefits of the Loterya. The STL legalized jueteng. The Loterya fortifies its legality. There is already a precedent. There is no need to finagle the PDAF thru the expertise of Janet Lim Napoles. Napoles has perfected the money machine where the Budget Department, COA, and Agriculture Department work rhythmically with her phantom NGOs. By concentrating on the funds amassed from the Loterya, this government runs in clear conscience. With the Loterya in place, the President steers clear from the DAP or whatever that means. Let Enrile and company burn in hell on how they ingested their PDAF. The President is Mr. Clean. He just inherited the PDAF from Erap and consecrated by Gloria in all her GAAs approved by the rapacious Congress. By 2012 the Loterya could have earned a spanking P20B enough to mobilize Congress in its ouster bid of Chief Justice Corona. If there are 294 representatives (234 from geographical districts PLUS 58 party-list representatives) multiplied by P20M each comes up with P5.88B only. With 24 senators, assuming they are for rent only and not for sale, earmarking P100M each comes up with a measly P2.4B chicken feed or a grossest of the gross cost of merely P8.28B. Abad retains P11.72! Comes 2013, this government anticipates another P10B from the Loterya. With with multi-billion savings, the President oozing with money can never go wrong. Boo Chanco finds solace at last that this administration spends and finishes airports, ports, connecting roads, autobahns, etc., before its term ends in 2016. With P21.72B prior to the midterm elections, the governors and mayors of the Liberal Party did not have to scrounge for funds or set their sights on the full budget of Proceso Alcala’s Agriculture Department. 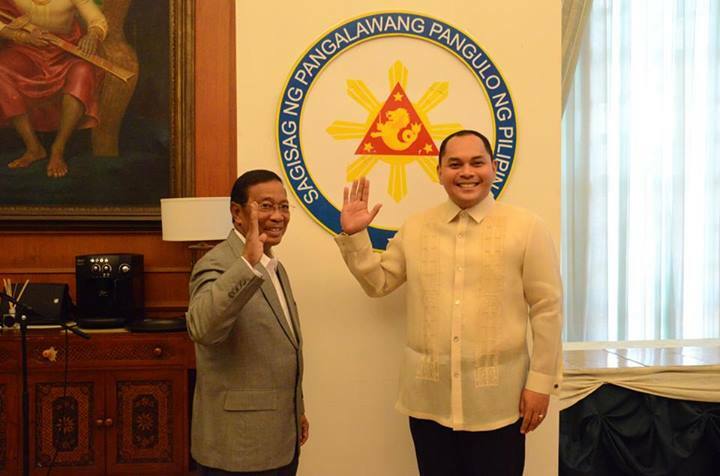 Alcala’s USec Tony Fleta was merely in obeisance with his boss’ instructions. Fleta tapped the outlier (with 10,000 hours experience at DA since Jocjoc Bolante) Ophelia Agawin. She knew the secret niches of the allotment of DA’s annual P64B. Sec. Alcala’s son Irvin was running scared against Danny Suarez son JJ in Quezon’s gubernatorial derby. Danny Suarez has saved his PDAF (his PDAF was not denied as it was favorably endorsed by Secretary Paquito Ochoa and Abad himself as they do not want any bad press for the President by squeezing the Minority Floor Leader of his pork with the ostensible pact with Ochoa to go easy on Malacanang and sympathetic with the confirmation of the President’s men before the Commission on Appointment) for the last three years plus the STL’s tithe of P10M a month. The Suarezes, thanks to STL, slugged it out toe to toe with the Alcalas and came out victorious. Faced with the scandalous releases of DA funds to Napoles’ NGO, Alcala and company contend with a plunder case before the Ombudsman. The Suarezes, thanks to the President, gloats by the sideline on Procy’s twin bad luck. IS ABAD’S OR ALCALA’S FIX ATTRIBUTABLE TO THE PRESIDENT? No. Somebody engineered it from inside Malacanang. One department has a secret agenda seemingly independent from that of the President. It never thought of the travails of its master. It just went on and on minding its daily chore of squeezing who the President should meet or what executive fiat to deploy. It was clueless on the impeachment of the Chief Justice; and the erstwhile Ombudsman who eventually resigned. It was not privy on the escape plan of the former president. But it has its fingers on the Loterya. It was looking from a distance while PCSO was minting the rules of the Loterya. While at it, PCSO was entirely in good faith in straightening out the STL aware that it is the fund conduit of GMA in all the years that she was in the Palace and it has to stop to shore up the political capital of the new President. Now more than ever, the loyalty of the STL operators is still with the former President. But the STL allows rates of intellegencia payments. While the former president has her own monthly payola bankrolling her hospital and legal fees, the Office of the President has its own special rate. The national intellegencia is 17% and the local, another 17% or 34% total. What remains is for prizes and profit margin for the operators. 10% of the 17% goes to the Office of the President. We do not know the base amount from where the 10% is computed. It can be P100M to P200M monthly. Or the monthly figure can be computed from the amount of savings, just what like lawyers charge their clients by percentage on the contingency of savings. In this case, the group of operators of the STL saved P30B from paying the government in case their contracts are terminated by PCSO. If your lawyer saves you that amount and the people in the Office of the Executive Secretary are lawyers (perhaps non sequitur) who saved the STLers P30B with the extra freebee of unmolested doing business for the last three years since 2010 and counting, won’t they be grateful, and what is 10% of the savings apart from their share of the intellegencia? 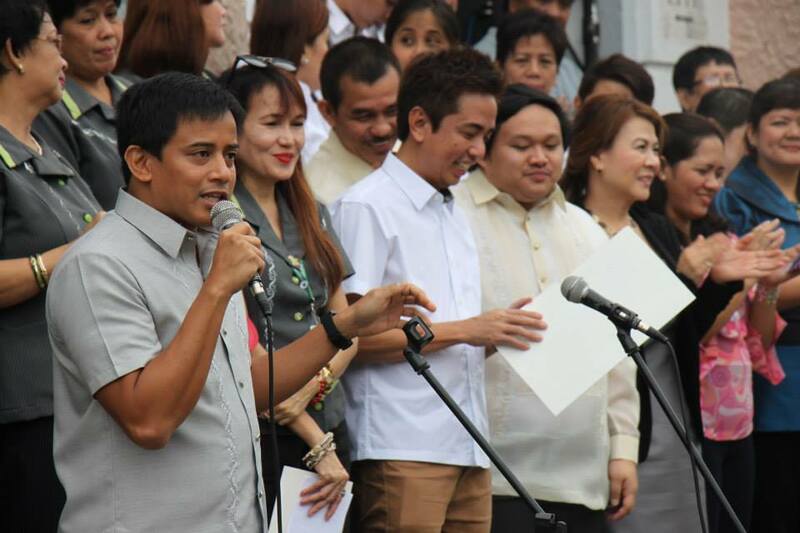 By humoring the STL operators, the ES sideswipes Mar Roxas of the Liberal Party. The LP was a victim of fund drought when the rules of the Loterya remain in the OP freezer. Its local bets were marooned by their UNA rivals ensuring the election of VP Jejomar Binay in 2016. In CALABARZON, except Ms. Vilma Santos, the LP bets were routed. The same is true in Central Luzon and Metro-Manila. Only Cebu saved the day for Mar Roxas. So let Abad and Alcala roast in Hades with Bong Revilla and company. The ES struts the way a peacock struts, sure of himself and confident of longevity. It now gels that the Executive Secretary is a confidant of Napoles. What If Your Correspondent is on the Payroll of the News Subject?